Depending on your credit score and history, you may find that many (or all) credit card companies are requiring you to make a deposit. 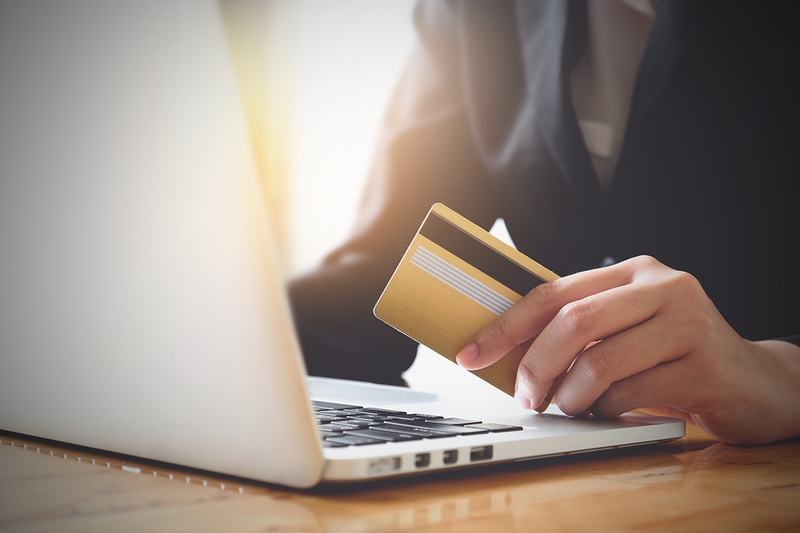 A secured credit card is one of the better ways for someone with no credit or bad credit to improve their score, all with the idea of eventually moving onto an unsecured offer in the future. Simply put, a secured credit card requires a cash deposit at the time of opening the account. The amount of money you deposit acts as your credit limit. For example, if you deposit $500 upfront, your credit limit is then set at $500. This is in contrast to an unsecured credit card in which you are not required to make a deposit, but are instead granted a credit limited based on your history and score. The reason for a deposit is simple: it’s the best way for the credit card issuer to reduce their risk. With a deposit in place, the issuer doesn’t have anything to lose if you don’t make your payment as required. Instead, they have the legal right to take your deposit money if you default. Subsequently, there is no risk of them taking you on as a customer. It’s your hope that you will qualify for an unsecured credit card, but you may come to find that this is next to impossible. If you fit into one of these groups, you can use a secured credit card to prove that you are responsible enough for an unsecured card. Furthermore, as long as your credit card company reports activity to the three major credit bureaus, you can use it to improve your credit score. You won’t have any problem finding a secured credit card, as there are hundreds of offers to choose from. During your search, pay close attention to the features associated with each offer. For example, you’ll want to choose an issuer with a good reputation for its customer service experience. Tip: once you responsibly use your secured credit card for a period of six to eight months, check your credit score to see how it has changed. Depending on what you find, it may be time to apply for an unsecured credit card. Now that you understand why some credit card issuers might require a deposit, you can decide if this makes sense for you. Don’t look at a secured credit card as a bad thing. Instead, look at it as a financial tool that can help you reach your short and long term goals. As a black women I’ve had to deal with discrimination for so many reasons like credit card I’ve been with the same credit amount with Kohls going on my the 3rd time around I have paid off my amount 3 time in a row and every time they denied me an increase on my Kohls charge card and the reason I refuse to close my account is because they going to owe me in the end.in which as a credit card it I paid off on my account every time I should be issued a credit income..